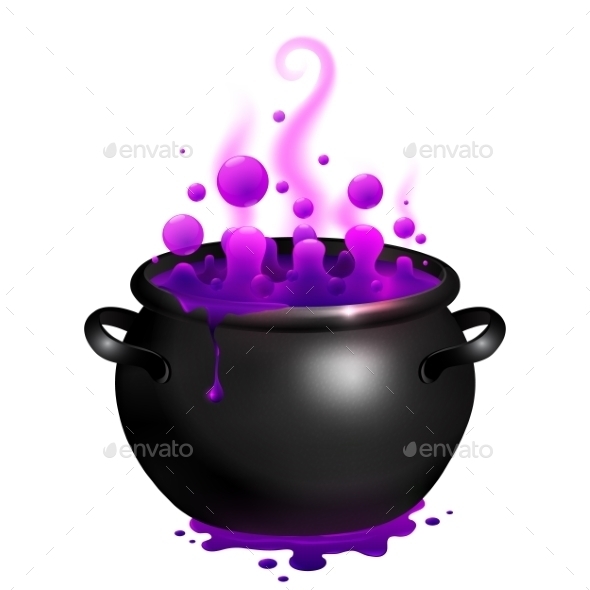 Magic Halloween cauldron vector illustrations in different colors. Available in vector format ai, eps + transparent png. Pot with leprechauns golden coins on shiny green background, illustration. Meat frying with onion and carrots in campfire Cauldron. Closeup. Infernal cauldron with the devil. Isolated object. No transparency and gradients used. JPG and EPS vector files. Meat frying in campfire. Closeup.